La Caixa’s CaixaBank, one of the most innovative banks in digital and mobile banking globally, launched the first transactional social banking app on Facebook in Europe. La Caixa’s CaixaBank became the latest retail bank to join the social banking bandwagon. CaixaBank has launched a Facebook application that allows users to view their bank accounts and perform transactions via the social network. This is the first platform of its kind from a European bank, allowing customers to check account balances, make micro-donations and contract personalised card services. This new Facebook service will also provide quick access to the bank’s primary online channel, Linea Abierta. The platform is now available to any CaixaBank customer with a Facebook profile who wishes to join the service. The platform can be immediately activated via Linea Abierta and is totally free of costs and fees. Once activated, users can open the application via their personal profile or the bank’s Facebook page. Users will have to enter their Linea Abierta username and password each time the service is opened, as the service is located in a fully secure and private environment that can only be opened by each customer. At no time will Facebook have access to any personal or bank information. The CaixaBank Línea Abierta application for Facebook features an optimal dashboard display, making it easy for customers to view account balances and transactions. This quick view system can be used to display current accounts, cards and bills. As for transactions, CaixaBank’s banking platform for Facebook will start by supporting micro-donations to charities run by CaixaBank Welfare Projects. Users can select their favourite projects and make small donations of up to 15 euro. The range of transactions will soon be extended to include operations such as person-to-person payments. The CaixaBank Facebook channel also supports the contracting of new products. Initially the service will allow users to acquire personalised cards. Customers can choose from photos on their Facebook profile to personalise new cards, while the CaixaBank application will also offer a catalogue of over 1,000 different designs for users to choose from, based on their preferences and Facebook “likes”. Likewise, CaixaBank customers on Facebook will be able to use the application to quickly register to ‘Línea Abierta’, the online banking platform where customers can make transfers, operate with cards, on the stock market and contract asset and liability products. The Línea Abierta application for Facebook will soon include an additional service for members of the LKXA programme, in the segment aimed at young people: prepaid mobile phone top-ups. The Facebook channel for this segment will be fully customised to the LKXA design and style. This is the first time that a European bank has adapted its financial services specifically for Facebook. 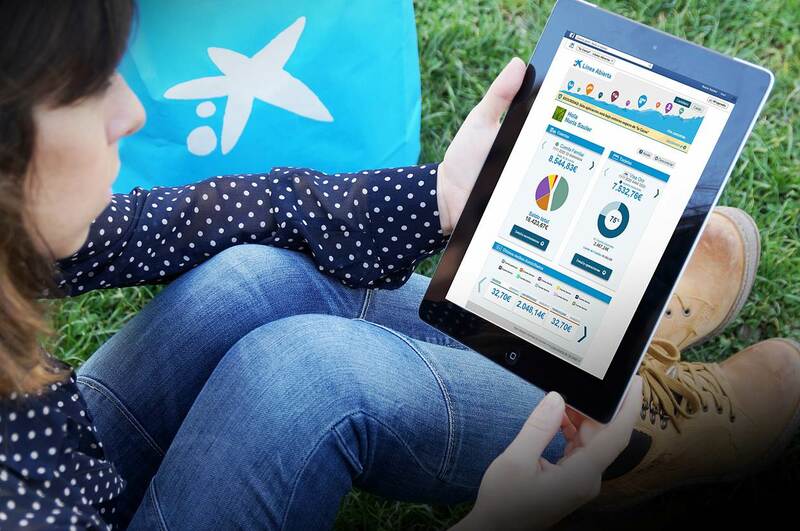 CaixaBank operates a number of pages on the social network and has attracted more than 200,000 likes overall. As well as its position on the leading social networks via corporate profiles and information and customer service channels, CaixaBank runs its own proprietary social networks exclusive to the bank’s customers. These include the Stocktactics network for investors, featuring stock market ideas, as well as the CaixaNegocios Community aimed at businesses, designed to help companies and the self-employed associated with CaixaBank to extend their network of contacts and get in touch with potential new partners, customers and providers. CaixaBank has also developed a network for the elderly linked to the ClubAhora programme, where users share information and opinions on leisure activities, current affairs, etc. What do you think of this somewhat expected move into the social banking space from CaixaBank? Last year, Nigeria’s GTBank has made available a similar range of services on Facebook to their banking customers: today, Facebook announces only 10,000 monthly users for both of their ‘social banking’ and ‘account opening’ apps or only 0.5% of their overall fan base… and the other pioneers of social banking like ICICI Bank enjoy similar low conversion rates in India. I invite you to join the conversation on the importance for retail banks to embrace social banking (or not) here, on twitter or on google+.